A typical 3D panoramic scan of your entire head, neck, and jaw takes approximately 14 seconds to complete. You will be asked to stand (or in some instances, sit) and our team member will position you so that the area of interest is properly centered. You will be asked to remain very still while the cone beam scanner revolves around your head. 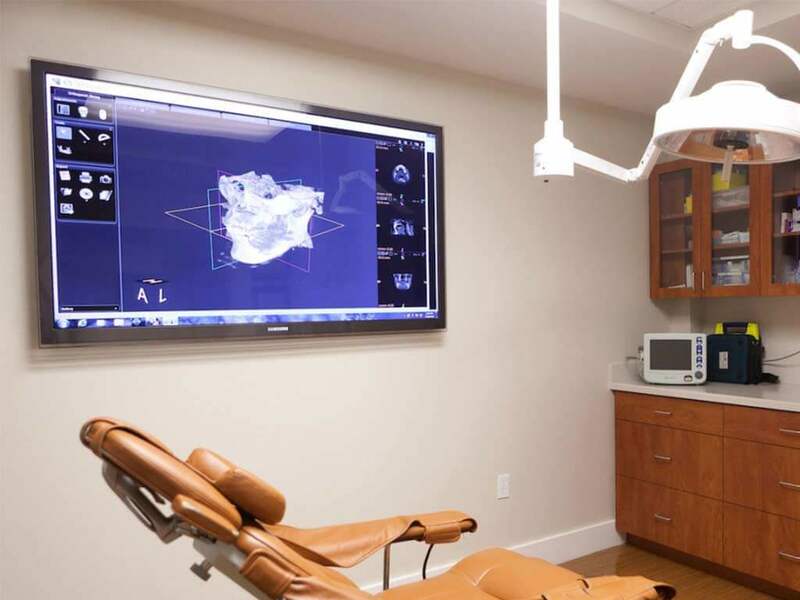 Most 3D dental imaging units have grasp handles to help you stay still comfortably, and a small stabilizing mouthpiece or chin rest bite block to stabilize or reduce your movement and it’s non-invasive. How should I prepare for my 3D Imaging scan? A 3D scan does not require special preparation. Wear loose, comfortable clothing, and leave jewelry, such as earrings and necklaces at home, as metal objects may interfere with the imaging. Other objects that may contain metal, such as eyeglasses, hairpins, and hearing aids should also be removed prior to the scan. If you have any removable appliances in your mouth, you will be asked to remove them prior to taking the 3D scan.